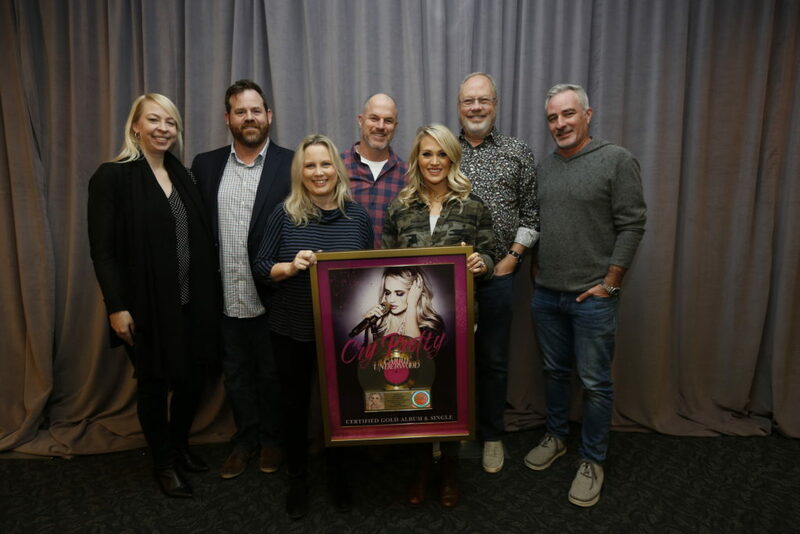 During CMA awards rehearsals, UMG Nashville executives presented Carrie Underwood with a plaque commemorating the RIAA Gold Certifications of her Cry Pretty album and “Cry Pretty” single. Released on September 14, Cry Pretty is the biggest all-genre debut by a female in 2018. Carrie’s album also debuted at No. 1 in over 20 countries, and on both the Billboard 200 and Top Country Album Charts, making her the only woman in history to land four country albums on the top of the all-genre Billboard 200 chart. Cry Pretty’s debut week also marks the most first week streams by any female in Country music.